Smooth! 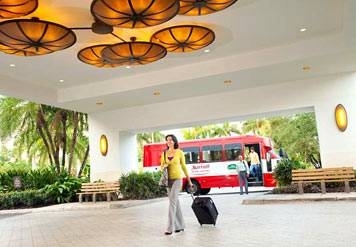 Friendly staff and on-schedule, comfortable shuttles get my trips off to a hassle free start. Very close to airport, so no traffic issues. Highly recommend. Coming or going you want your car park to be EASY and Convenient. 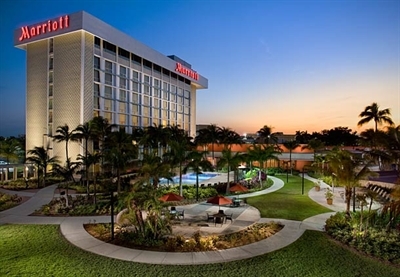 My experience at the Marriott over the years has been that the shuttles are VERY reliable - every 15 minutes, as advertised, and that the staff is both friendly and helpful. This is the way you want to begin, and particularly end, your trip! - Push the Blue button to enter the hotel, the machine issues a ticket - keep it with you. DON'T leave it in the car. 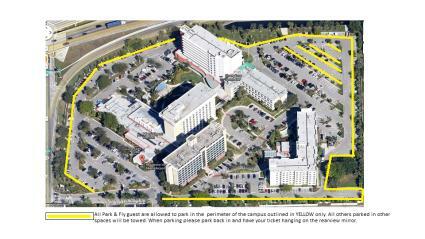 - Please park backed-in in designated area along the perimeter (along the fences of the campus). Car will be towed at owner's expense if not in designated area. - Please keep copy of reservation to show valet attendant.